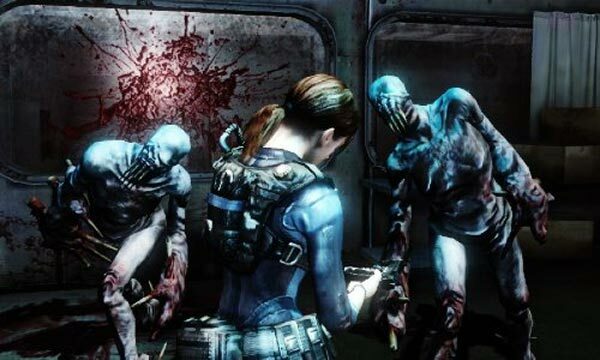 Resident Evil Revelations is a great handheld game, one that not only pushes the boundaries and standards of the Nintendo 3DS but one that recaptures a long-forgotten spirit of a classic franchise. Make no mistake about it, this is a full Resident Evil adventure that isn't watered down because it's in portable form. That's no small accomplishment. Despite its disappointments, Revelations will be remembered as one of the better entries in this series, and should serve as a notice to all other developers, including Nintendo itself - this is the type of production value we want to see on the 3DS. Even though it’s not perfect, Resident Evil: Revelations sets a benchmark in handheld gaming. 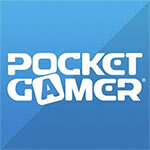 It offers everything a Resident Evil game should while remaining portable-friendly. If you haven’t already, Resident Evil: Revelations will make you fall in love with the 3DS. 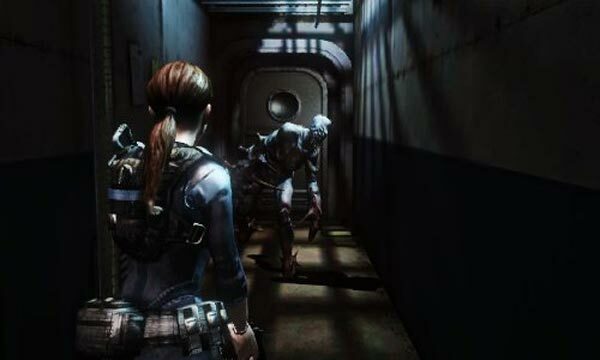 Resident Evil: Revelations hooked long-time fans with the promise it would return to the series' survival horror roots, but couldn't resist an attempt at reaching a wider audience. Instead of producing a splintered and botched attempt at blending action and horror, Capcom should have stuck to its guns. Resident Evil: Revelations is by far the best reason to own a 3DS right now. 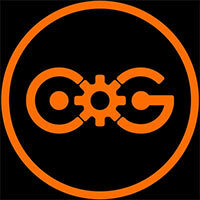 The game returns with a vengeance to its horror roots with some very addictive gameplay. The bonus of portability aside, Revelations is, in my opinion, one of the best Resident Evil games since the first iconic game on the PSone. Gamers old and new should not miss out on this fantastic game, as it is an example one of Capcom’s very best. Out of everything available on the 3DS, Resident Evil Revelations is a high profile effort that stands above most of the software you’ll find out there. The thoroughly M-rated adventure fulfills nearly every desire of RE fans, simultaneously fitting the new handheld perfectly thanks to a new episodic approach to storytelling. It’s not a huge leap forward for the series, but it does prove that even on a handheld, Resident Evil can still be a good time. With around 10 hours of action in your first playthrough, Revelations is a sizeable adventure. After you complete it, there's a much tougher difficulty mode and the option to replay with all the gear acquired in your first playthrough. That's a suitably chunky offering, for a portable game or otherwise, from a Resident Evil title that holds its own against any other of recent years, in any format. Resident Evil: Revelations is a thoroughly successful crossbreeding of old-school chills and new-school action. You just can't get a game that plays as well or makes as big a visual impact as it would on a big TV, and if you start bolting peripherals onto the system to alleviate those problems, you start to negate what makes the system elegant in the first place. Revelations could have mitigated the effects of its limitations with a more memorable story and more appealing (and maybe more familiar) characters, but the game doesn't deliver enough on any one level to make it easily recommendable if you aren't a diehard fan. Revelations isn't exactly a bad Resident Evil game, but the series has certainly seen better. Resident Evil: Revelations is an exhausting game. It's the type of game that demands cigarette breaks between levels, due to how strenuous it can be. It lacks the outright scares of its survival horror influences, but the consistently bleak atmosphere and exigent combat situations make for a game that will drain one's brain in a disconcertingly enjoyable way. Every challenge feels like it might be too much, and every step forward is another step closer to some horrendous, taxing endeavor, but that's what ends up being so much fun. What you have here is a full-featured Resident Evil release squeezed down onto the 3DS. It sacrifices little due to the hardware, with its most glaring faults a result of development decisions. The meaty campaign is short on scares, but well-designed and engaging, while the raid mode will sink its claws into you after just a couple missions. While tip-toeing the line between old series staples and its latest evolutions, Resident Evil: Revelations proves that what's old can be new again. Although Resident Evil: Revelations was developed with a portable format in mind, it is still the best game in Capcom's horror series since part 4, and has become even better thanks to the refined graphics and game controls. So if you still have not revealed the truth with Jill and Chris, I think you can treat yourself to a few days of luxury vacation in the Mediterranean now at once. Just make sure to pack a shotgun. Capcom has delivered a game with more pros than cons. The back and forth of its narrative and abysmal choice of characters sour a story that's trying too hard to be clever and compelling. It's hard not to be in awe of the rest of it, though. Best enjoyed alone, in the dark, with a pair of headphones and the 3D slider cranked up, Resident Evil Revelations is a worthwhile venture for fans and thrill seekers alike. Resident Evil: Revelations is gorgeous, huge, and offers the most fully-featured online co-op experience on 3DS. The single-player isn't quite the survival horror comeback Capcom promised but, with its brilliant take on score attack, Raid mode ensures Revelations delivers at least once on its title. 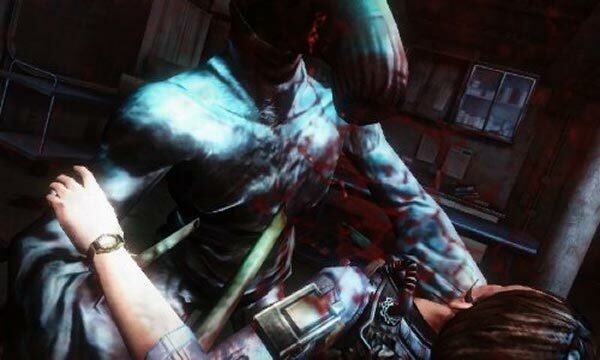 The game’s best moments hint that a perfect marriage between the franchise’s adopted perspective and traditional survival-horror elements is possible. But these moments are few and far between amongst the relatively straightforward action sections. So while the end result is still an extremely fun and satisfying game, there's a sense that a golden opportunity has been somewhat squandered. Al final, se queda a medio camino entre las últimas y las primeras entregas de la serie, en una peculiar mezcla, que quizás no satisfaga a los que buscan solo acción, y tampoco a los que buscan un survival horror, pero que sí encantará a los que simplemente se quieran divertir con una buena aventura de acción en su 3DS, en uno de esos juegos que en caso de tener la consola es casi imprescindible jugarlo. Como Resident Evil, esta entrega para 3DS cuenta con todos los aspectos que los fans de la saga desean ver, y aunque mantiene unas bases conservadoras e intenta recuperar parte del espíritu del survival horror resulta una clara declaración de intenciones por parte de Capcom de que el asunto ahora es más "survival" y menos "horror". Es un juego cuidado, con muchas posibilidades, repleto de opciones y extras y con un modo multijugador divertido e interesante, por lo que actualmente es una de las mejores opciones del catálogo de la consola. Kein Zweifel: Resident Evil 6 sieht im direkten Vergleich besser aus – mal abgesehen von dem lächerlichen Gezappel während des Zielens. Aber es sind die inneren Werte, die Revelations zwei Klassen besser machen als den unrühmlichen sechsten Teil. Zum einen wird das klassische Flair der Reihe besser eingefangen und es gibt einige großartige Momente mit einer Atmosphäre, die man als Fan von der Reihe erwartet. Zum anderen funktioniert selbst die generische Action besser als in der großen Fortsetzung, da man auf Features wie das fummelige Deckungssystem sowie den inflationären Einsatz von Reaktionstests verzichtet. Dispensant quelques bonnes idées et profitant d'une très bonne durée de vie, cet opus offre une sorte de passage de témoin entre les anciens épisodes et le futur de la saga. Si on pourra pester contre le fait de devoir acheter le Circle Pad Pro pour profiter à 100% du jeu ou la construction intéressante mais au final peu originale, on aurait tort de passer à côté de ce morceau de bravoure prouvant que la 3DS en a vraiment sous le capot. A acheter les yeux fermés, à jouer en les gardant grands ouverts. Riche en termes de contenu pur et d'options de personnalisation, prêt à concilier deux philosophies de la série, efficace sur le plan du gameplay, localisé avec attention et capable d'impressionner sur le plan visuel comme auditif, il s'agit sans conteste du meilleur épisode disponible à ce jour sur console portable. Pourtant, il est difficile d'être emballé par l'histoire sans punch, les personnages et les dialogues sans relief, le style série télé mal agencé et le manque flagrant de séquences capables de se graver directement dans la mémoire. 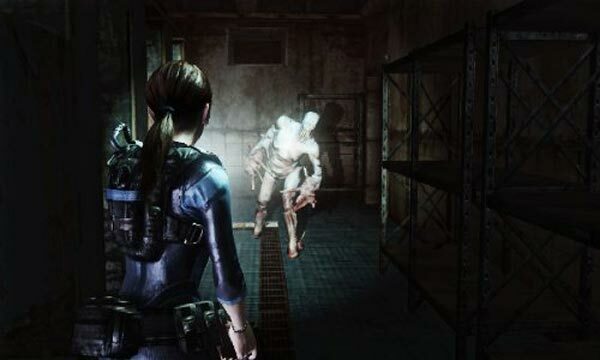 Resident Evil: Revelations é uma das melhores propostas que podem encontrar. A estória acaba por ser uma desilusão quando comparada com outros títulos da série, mas é um jogo incrivelmente bem executado. A campanha agrada a gregos e a troianos, havendo tanto momentos para survival horror como ação. Esta nova abordagem assenta bem na série não só ajudando a manter o jogador agarrado ao final, alternando entre medo e adrenalina, como mostra que a Capcom sabe em que direção deverá encaminhar a série. De game is spannend, behoort audiovisueel tot de top van de 3DS en bevat een lange houdbaarheidswaarde door de relatief grote verhaallijn en de indrukwekkende Raid-en Hell-modus. Dat de nieuwe personages allerminst overtuigen en het verhaal weinig imponeert, zien we dan even door de vingers. 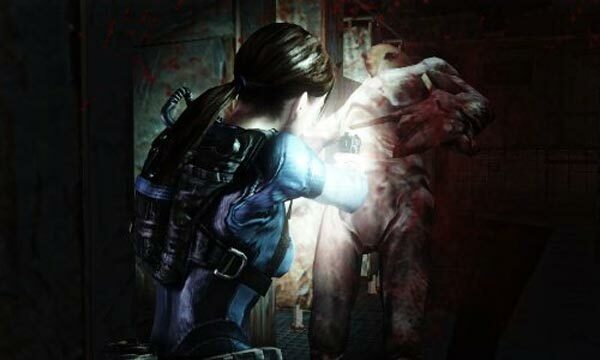 Resident Evil: Revelations is verplichte kost voor iedere 3DS-bezitter. Det blir med ens svårt att sätta fingret på vad Capcom egentligen gjort men desto enklare att fastslå att de gjort det mesta rätt. Resident Evil: Revelations är inte bara ett bärbart komplement till den riktiga, numrerade, serien utan ett nödvändigt tillskott i varje skräckentusiasts spelbibliotek och en fingervisning om vad det bärbara formatet är kapabelt till idag.